Nicknamed the "Huey" after the phonetic sound of its original designation, HU-1, the UH-1 "Iroquois" helicopter was the work horse of the Army during the Vietnam War. The helicopter as a military technology evolved during World War II, but took time to develop to meet the Army's high hopes for its effectiveness in battle. By the Korean War, early helicopter models such as the ubiquitous OH-13 "Sioux" and the USAF H-19 served as resupply and medical evacuation transports. The battle experience of these early craft provided lessons learned which aided the development of the UH-1. By 1958, the first Hueys were shipped to Vietnam and used by American advisors in "dustoff" medical evacuation (medevac) missions. As the Vietnam War raged, the Army integrated the helicopter into its wider operations and expanded the platform's role far beyond medevac. The Huey was relied upon to "do anything a horse could do" and subsequently evolved from a tool for troop and supply transport to include direct combat gun support. Specifically, the Army's use of the Huey in combat led to its integration into the new "airmobility" strategy and tactics. 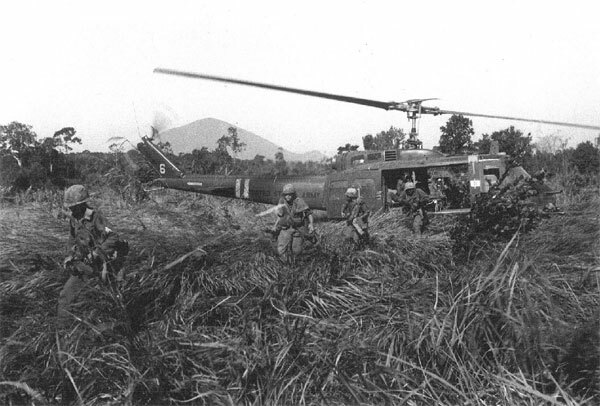 Commanders used the machine's multiple variations to both engage the enemy directly as gunships and to transport Soldiers, ammunition, and medical attention rapidly and efficiently almost anywhere in the hilly, jungle-covered landscape of the Vietnam War. Widespread use made the UH-1 Iroquois an icon of the Vietnam War and it remains one of the most widely used helicopters in the world. 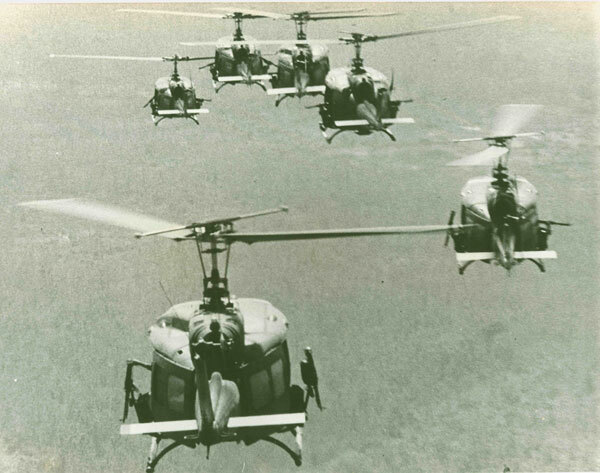 "A gaggle of Huey Slicks soars through Vietnam skies..." The original caption on this photo refers to the attack transport Hueys used in the "airmobility" strategy and tactics. Soldiers fly back to Bien Hoa after a mission supporting an artillery outpost. Challenging landscapes and remote location often meant Hueys provided the only way in or out of a combat zone. Infantry disembark from a Huey "Slick" during combat operations. 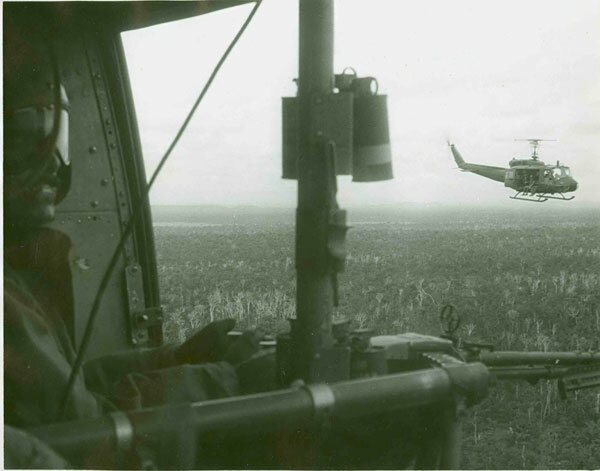 The ability to transport fully armed troops directly to the combat zone made Hueys invaluable to Army commanders.